Media tend to attribute economic health to political leaders, parliament or central banks, but marketers know that consumers control 70% or more of GDP in mature economies. Traditional economic analysis focuses on fiscal and monetary policies. Marketers and behavioral economists believe that consumers and their migration dominate global markets now and in the future. The European industrial revolution two centuries ago transformed agricultural workers, who produced most of their own consumption needs, to city-dwellers who bought products and created markets. The rural-urban migration surfaced in North America the past century, fueled by the automobile. In Japan, the ultimate victors were Seibu and Takashimaya; in Europe, they were Ikea and Carrefour. In the U.S., it was Walmart and specialty chains as varied as Home Depot and Victoria’s Secret. Firms from three continents compete today for similar segments around the world, serving consumers converted from self-produced goods and services, (both unseen and non-monetized), to marketer-produced products. Just because home-produced products are “unseen” in a nation’s GDP does not mean they do not exist. Production and consumption once monetized and measured become visible because they now are recognized in the GDP. Such a shift leads to a more systematic sector approach by producers, greater selectivity by consumers and more specific attention and measures taken by policy makers, all of which leads to substantial GDP growth. During such a growth process, exports often “prime the pump” and become a magnet for urban migration. But blazing GDP growth is powered by domestic sales to domestic consumers. Marketers propose, but consumers dispose, and determine the growth of economies and health of individual firms. U.S. GDP grew rapidly in past decades mostly because the proportion of urban baby-boomer women working outside their homes went from minuscule to massive. Food preparation, child-care, home maintenance and transportation changed from non-monetized to measured. GDP soared with mountains of markets for goods and services ranging from autos, refrigerators and automatic washing machines to restaurants, prepared foods and grocery stores, along with health care, lawn services, child-care and cleaning, mostly bought by consumers formerly producing those products themselves. Around the turn of the current century, China activated a similar conversion from self-production to industrial production for 125 million consumers moving to cities, estimated by China experts to reach 700 million by 2020. (1) With relaxed consent for Foreign Direct Investment (FDI) and a projected population in India of two billion by 2050, the axis of GDP growth moves east fast. Urban migration is igniting emerging markets ranging from Viet Nam and Ghana and other African nations to countries in Latin America and the Middle East. Monetary and fiscal policies provide the rails for GDP growth, but the locomotive is urban consumers. When hyper-stimulation of easy credit and excessive debt stokes the engine too fast, the economy risks a train wreck, as the United States, Greece, Spain and other nations have discovered. When economists do not understand the behavior and temporal role of consumers, they risk prescribing the wrong cure for the new norm in mature economies of slow-growth GDP and fewer jobs. The transition from self-producing agrarian economies to urban societies with marketer-produced products greatly affects GDP and jobs. Most markets in Europe and North America have reached the upper limits in rural-urban migration, suggesting the same conclusion about GDP growth. Naïve critics complain, “We don’t make anything in this country anymore” hoping to return factory jobs to past levels. In fact, U.S. factories are producing more than any time in history. Output doubled the past three decades, but factory employees declined by a third. The way for mature economies to compete with emerging countries is to reduce labor content, continuing exactly what the U.S. has already done in both agriculture and manufacturing. A century ago, 70% of the labor force worked on the farm. Today, 1.8% of the labor force produces so much output that the nation’s greatest health problem is obesity, with ample surplus to export. Manufacturing employed 30% of the nation’s workers in 1950, dropping to 9% by 2010, headed to the same level as agriculture. Banks are rising in terms of revenues and profits, but project substantial job reductions of 25% in five years. Productivity produces higher paying jobs, but there are fewer of them. Booms of a prosperous middle class are identifiable in India, Bangladesh, Mexico, Turkey, Colombia, Thailand, Ghana, Nigeria and other nations. International marketers should identify both the industry and location where there is a transition of human activity from invisible and unmeasured to visible and the transition is measured and recognized. We must also understand the temporal nature of societal shifts and migration, a reversal or limitation of which is likely to ring in major changes as well. 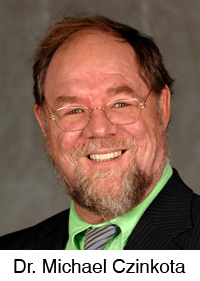 *Michael Czinkota researches International Business and Marketing issues at Georgetown University in Wahington D.C. His book (with Ilkka Ronkainen) on International Marketing is in its 10th edition. 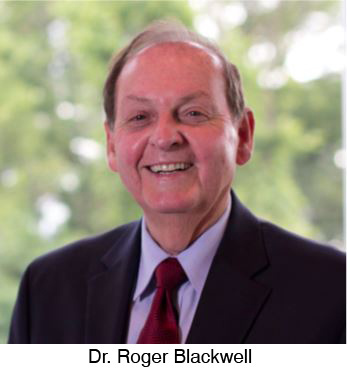 *Roger Blackwell is a professor of marketing retired from the Ohio State University. His book Saving America: How Garage Entrepreneurs Create Jobs While Growing Small Firms into Large Fortunes is forthcoming by Union Hill.